After the Tzimtzum of the Endless, came Tzimzum in Adam Kadmon. The lights that created the world of Atziluth came out of his head, the Hair is the aspect of branches of light that went down to the lower worlds. In humans more hair signify stronger energy. For example babies that are born with more and condensed hair are going to have good energy. The positive ones are more likely to be born under the sign or rising sign (hour of the day) of Leo. Leo is אריה and one of the holy Creatures of the holy throne. They represent the aspect of Chessed. Leo people have greater potential to channel Chessed but on the negative side, Leos have stronger desire for the self and tendency to manipulate and control others for their purposes and needs. There are differences types of energy in hair depending where it grows: on the skull, the beard, on hands or chest. They represent different energy levels. A single head hair is like a pipe, letter Vav, and the opening is the aspect of the letter Yod. They are the male letters of the YHVH name. The representation of these letters in the physical form of the hair tells about the person’s ability to use and channel their light. Roots of wrinkled and small hair are in the aspect of the small ה H of Malchut. The inner energy of the person is not strong and they have difficulties building inner power and manifestation ability. Such people, if they have some natural gifts, need strong people or wives next to them to complete them and lead them to success. You can identify this kind of hair when it is not soft or organized. Usually it is thin hair and feels with lack of energy. The length of the hair is the aspect of the 10 Sefirot and the width (thickness) is the aspect of YHVH. When we see wrinkles closer to the root, it represents imbalance and confusions. 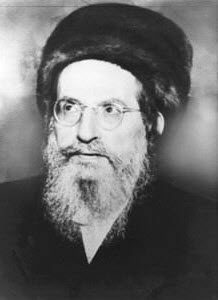 If the hair (close to the root) goes up straight, wrinkled and bends down, then as rabbi Avraham Azulai says, it indicates rejection of the light of Chokmah. People with this type of hair get angry quickly and have greater issues trusting the light. Remember the story of Samson and Delilah. With his full hair that had never been hit he had awesome power but when it got cut, he lost it. The end of the story was that he could destroy the palace of the philistines that captured him. He put his life in the hand of God and with certainty and trust he could restore his full energy. From this we learn that proper connection to the light can overcome weaknesses that are part of our tikkun. When you are among spiritual people that change themselves for the better, you can not apply the same type of reading that can be perfectly accurate for others. When a person changes himself on the spiritual level, it manifests through time and actions on the physical level. A person that may look like a criminal maybe on his repentance process. We should never jump into conclusions and ‘read’ his appearance as final state of being. If we do so we may limit their spiritual growth. We should show a person ways to the light to make things better in their life . For example we can not say ‘you have weak energy’ but something like ‘you were born to work harder to get energy while there are others that get it easily. With more spiritual connection you connect to the life force and be able to bring balance in your life and feel better’. I hope you all get the idea here and remember that the main purpose of the PFR is to see the light in everything, respect, guide, help in any way you can.